Woman 1: So after I have rejected the first 37 guys, the next one who is better than the 37 will statistically* be my soulmate. Woman 2: That sounds crazy! If you fall in love with guy number 3, will you still reject him? Woman 1: I have to. Woman 1: I won't let love come in the way of finding my soulmate. 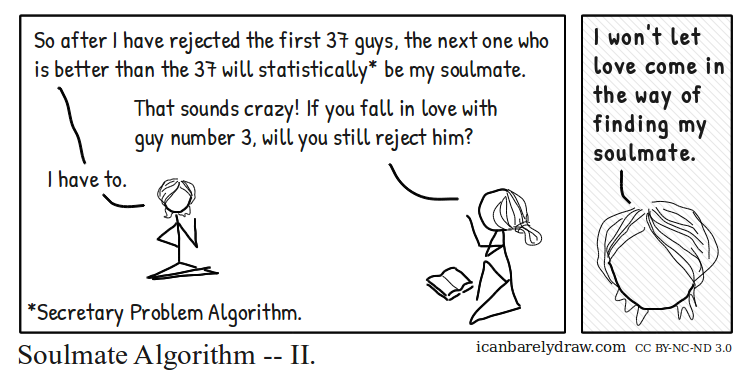 Title: Soulmate Algorithm -- II.